A number of readers have asked what one might start with if they were planning on building amps and other audio electronics. After a number of builds you come to depend on certain tools to get the job done. There are some that you can get by without and some that are pretty essential. The list might be overwhelming, but many of the tools listed are of low cost and there are likely already quite a few you already have. 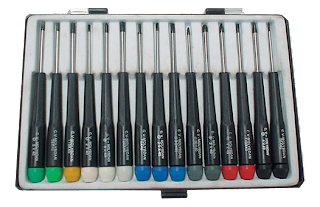 There are always varying degrees of quality in tools out there, sometimes you can get away with the online special, and there are other times when you'll actually want to spend a few extra bucks if you'll be using that tool repeatedly. Below are many that I've found to be worthwhile in electronics work. The most necessary tool on this list. There are solder wands out there, but if you're remotely serious about building electronics, step up to a solder station. 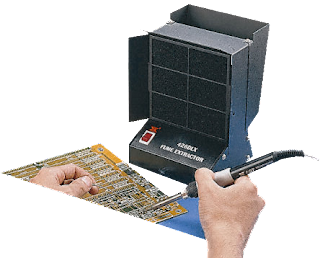 A solder station will usually have a means of adjusting the temperature, which is essential for turning down when soldering sensitive semiconductors or turning up when soldering a large binding post. The Hakko 936 is a highly recommended station and can be found under $100. Solder needs to have a nice mix of flux and a low melting point to be easy to use. 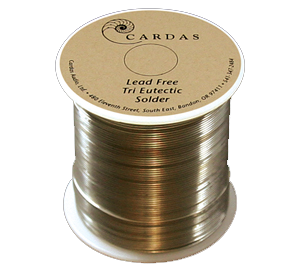 Kester 63/37 and Cardas Quadeutectic solder are both highly recommended solders; I've personally had good luck with both as well. Both contain lead, so proper precautions are necessary when handling either. Refer to http://toxnet.nlm.nih.gov/ for information on the safe handling of lead and other dangerous chemicals in solder. There are also a number of tin-free solders, however they require much more effort to get a good shiny joint in my experience. A tip cleaner is a nice easy way to clean the tip of the soldering iron between solder joints to get off any oxidation. 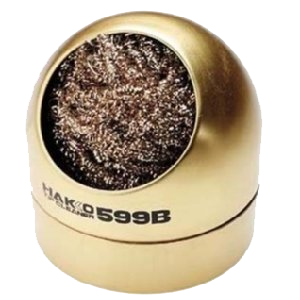 The Hakko 599B is full of brass coils that remove the oxidation and prevent the iron from dropping in temperature like a damp sponge would. 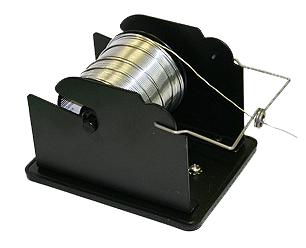 Not really necessary but a nice-to-have that keeps your bench neat; this little stand holds a reel of solder and allows you to draw the solder smoothly. Solder suckers are immensely useful and quite affordable at around $5. I've actually found the cheap ones work just as well as the more expensive models. 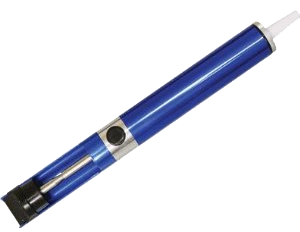 These make use of a tip that can withstand heat, such as PTFE, and a spring-loaded suction tube. 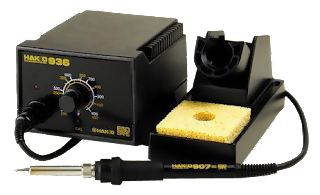 Putting the tip up to heated solder and pressing the button to release the spring can quickly remove it from a circuit board eyelet, connector or wire. A great little device for electronics that will hold wires and connectors in place while you solder. 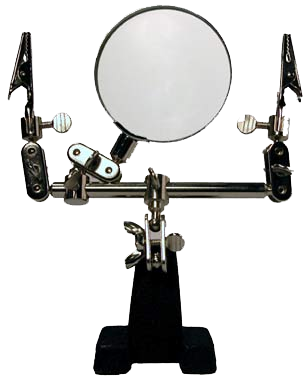 Generally these are made of metal, include two clamps, one on each side, and have a weight at the bottom. Some models also include a magnifying glass. These are also quite affordable, you'd be hard pressed to find a set over $10. After populating a circuit board, there is usually quite a bit of unsightly rosin flux that has dried around the solder joints. Only $2-3 is needed to procure a basic toothbrush and a small bottle of isopropyl alcohol which can help remedy this situation. 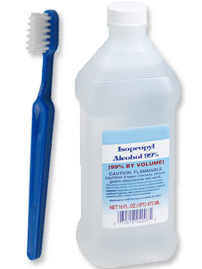 Wetting the toothbrush with the alcohol and scrubbing away will help remove the flux from the board. Since solder has lead in it, it's in one's best interest to not breath in the solder fumes. A fume extractor will help remove the fumes from the air. There are a number of models out there, some are not much more than glorified fans, some are able to be positioned on a pivoting rod, and some have deluxe filters. Prices range from a few dollars to well over $100 depending on the quality and complexity. Probably another no-brainer, it's important to protect your eyes from random bits of molten-hot solder and airborne metal dust. I haven't found a set I'm in love with, but the Dewalt protective glasses seem to work fine. You're going through all this trouble for better sound, make sure you protect your ears so they'll be able to enjoy it. Simple isolating ear buds can help to some extent or larger ear cups from companies like Peltor, Browning or Trademark are worthwhile when you're going to be cutting through a lot of metal. I'd consider this an absolute essential; the rotary tool in my workshop is constantly in use. 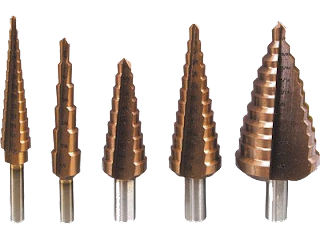 It can be used with sanding bits to de-burr drill holes, enlarge existing holes, cutting new holes and trimming down screws with the metal cutting disc attachment. 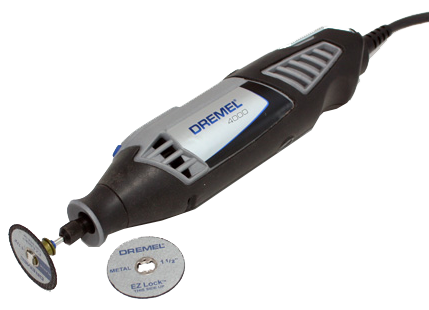 There's quite a variety of tools and attachments made by Dremel to add utility to this little device. Dremel, Black and Decker, Dewalt, Kawasaki and other brands offer rotary tools, many of which work with the Dremel attachments. Much like the helping hands, a desk vise will hold things for you while you work. 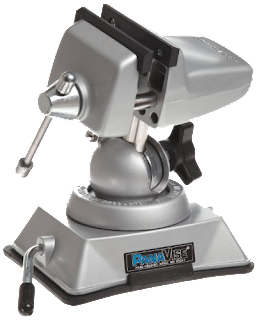 The desk vise is well suited for holding small pieces of aluminum or steel that need to be trimmed, circuit boards to be soldered to, screws to be shortened and other various items. Below is an example, the Panavise 381 with a suction base, but there are many other varieties to suit various purposes. Probably a no-brainer, but with nearly every chassis and socket you'll be needing to secure something with a screw and / or a nut. A precision set of screwdrivers is also recommended for adjusting miniature board-mounted potentiometers and using small size #4 hardware. 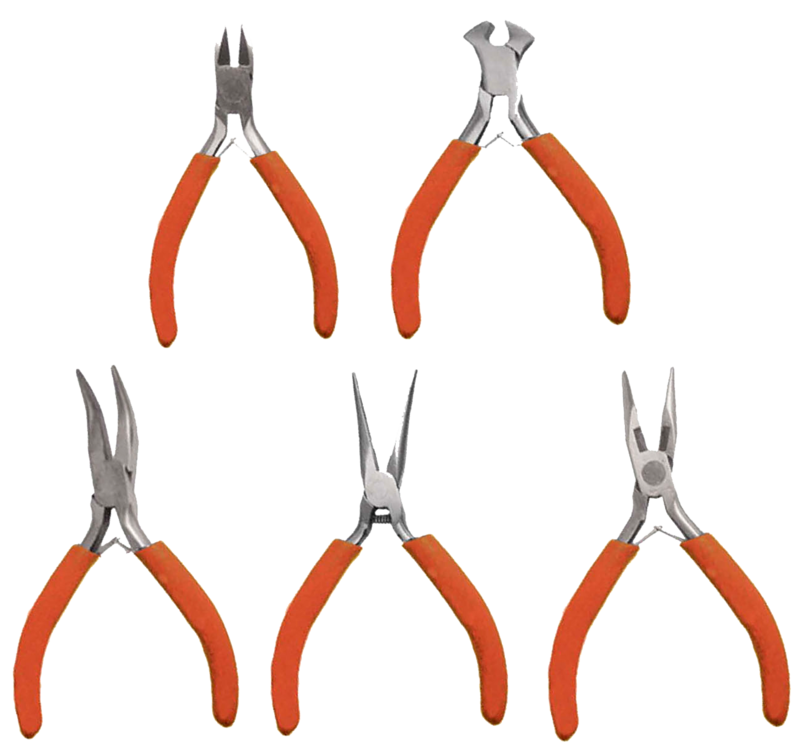 A set of pliers goes a long way. 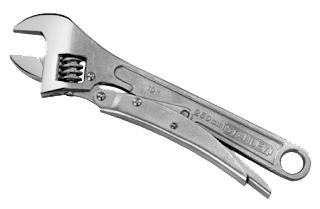 Pliers can be used to hold small nuts in place while tightening screws, holding small items that your fingers might be too large and clumsy to hold, trimming small pieces of metal and a variety of other uses. Even a cheap set will be worth it's weight in gold around the shop. 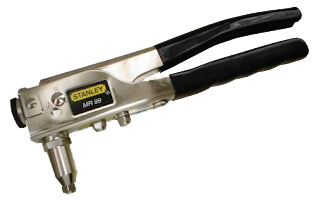 For larger nuts that need to be tightened, like with potentiometers, stepped attenuators, balance controls, and switches, an adjustable wrench is worthwhile so you can get the grip you need that won't slip like a set of pliers would. A socket wrench may also work but it would need to be fairly deep to accommodate the above. 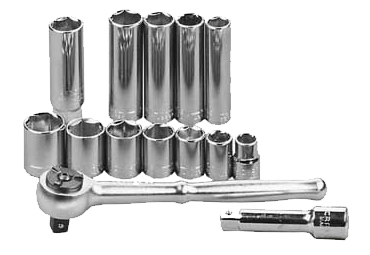 A socket wrench is a wrench with interchangeable heads or sockets that allow it to turn various size bolts and nuts. Great for mounting RCA females with nuts on the outside like Cardas and mounting binding posts. The socket wrench will ratchet either to one side or the other depending on how it's set which facilitates the tightening process. Prepping a chassis to hold PCBs, tube sockets, transformers and other items requires drilling the necessary holes, then tapping the holes for the proper size screws. This involves inserting a tap in a "T" wrench which holds the tap steady while one turns the wrench, "tapping" the hole. One could likely get by with just size #4-40, #6-32 and #8-32 tap set to start with (along with the obligatory "T" wrench) they are the most common sizes in building. 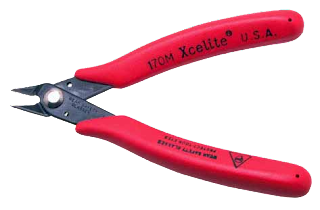 It's worth spending a few extra bucks on a good miniature wire cutter, it will be used constantly to trim down excess leads after soldering. It needs to feel good in the hands and be sharp so that excess force isn't necessary to trim the leads. 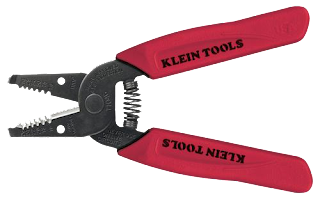 I've had good results with Klein and Xcelite. Just like the miniature wire cutter, spend a few extra bucks here. There are quite a few wires in a point-to-point amplifier, so there will be a lot of wire stripping. 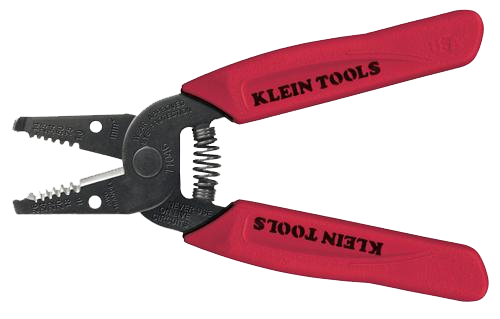 Klein Tools makes great wire strippers in my experience. 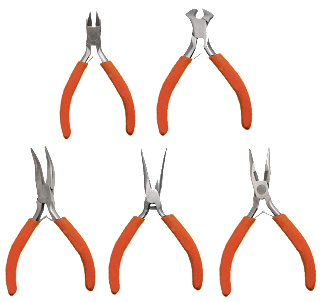 Wire strippers come with a variety of gauges they will work with. Generally, 18-24 gauge are most typically found inside amplifiers. Greenlee punches are quite expensive. but worthwhile if you'll be using them frequently. If one is building tube amps and fabricating their own chassis, having common sizes for ceramic and/or Teflon tube sockets is a nice-to-have. The Greenlee units are basically a draw stud that tightens the die and punch together when a ball bearing nut is turned on the top (see figure below). This requires a pilot hole to be drilled drilled in the center of where the hole should be on the chassis to accommodate the draw stud. 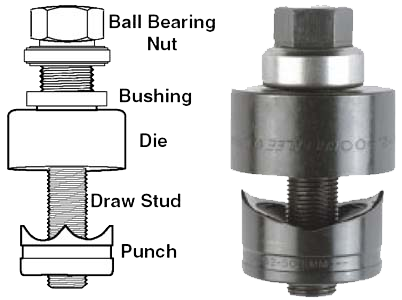 There are special tools made by Greenlee to tighten the dies but a socket wrench can also be used on a budget. The holes come out perfectly accurate, which is their real appeal. A stepped drill bit is handy for making holes for tube sockets and large switches and jacks if one does not have the proper sized Greenlee punch for the task, or doesn't want to pony up the cash for a Greenlee die (perfectly understandable). 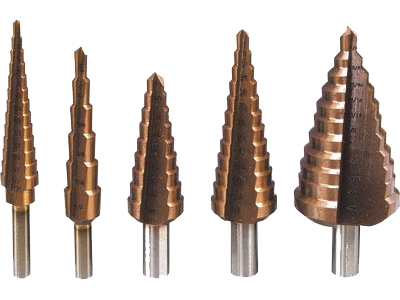 A stepped drill bit starts off small at the bottom and incrementally gets larger. It can be difficult to get perfect results like with a Greenlee punch but they can be very accurate if used with a drill press. A drill press is a pretty great tool to have for chassis building; they offer much more precision than a hand drill, and don't come with the fatigue associated with trying to drill dozens of holes with a heavy battery-powered hand drill. 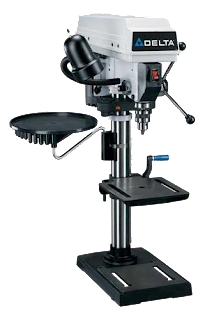 Once can purchase a bench drill press for about $200 from companies like Rockwell or Delta that are very adequate, just be sure to have the room for it. A heat gun is useful for shrinking heatshrink tubing over wires. The heatshrink can act as a strain relief for a cable, to prevent shorting if there are two exposed wires near each other, to keep multiple wires together for organizational purposes, or to color code wires among other things. 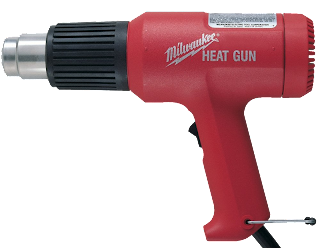 Certain heatguns allow for attachments that can help direct the heat around a cable. One of my personal favorites. 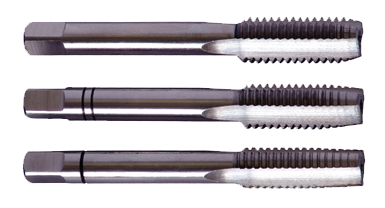 A pop rivet gun can be used in place of a screw and nut when something needs to be secured but will never need to be removed. The pop rivet is placed in a drilled hole and the gun trigger is squeezed, expanding the tail and securing the rivet in place. Easy does it. There are certainly many others, but listed above are the basics. Know one that I missed? Tell us in the comments section! The owner of this blog does not have any personal or monetary relationship with any of the brands mentioned above. The tools and items listed above can be potentially dangerous and should only be handled by a professional. Please remember that building amplifiers and other electronics can be dangerous to you and/or your surroundings and should only be performed by a certified technician. The owner of this blog and all associated parties can not / will not be held responsible if you attempt a build using the tools or items above and cause physical harm to yourself or your surroundings. Please keep this in mind. YOu must really have each and every tool for your gadgets.. If you are just starting out, buy a FRESH roll of rosin core eutectic solder, standard Kester 63/37. I also recommend a small bottle of RMA (Rosin Mildly Activated) flux, the solvent for the flux, a dozen common stamped acid brushes (they're a few cents apiece), and some mineral spirits and some 100 percent isopropyl alcohol. Also, get a couple of the little pump top applicator bottles. I also like to have a few hemostats and needle forceps, but they aren't needed to start. A sawn off section of blued rifle barrel, or a _unplated_ piston pin from a car engine (either should be free from a mechanic or gunsmith, they're scrap) makes a good solder wiper for excess tip solder. If you have bare cement floors you can always sling it on the floor, but that's not really classy. The heavy steel (an old electricians pliers of the blued type works too) lets the solder stick on and then pops off easily, cold, in a couple of seconds. I never use those copper wire ball things. I use a sponge with distilled or DI water.